Butterflies have always fascinated photographers and writers Deborah Carney and Vinny O’Hare. 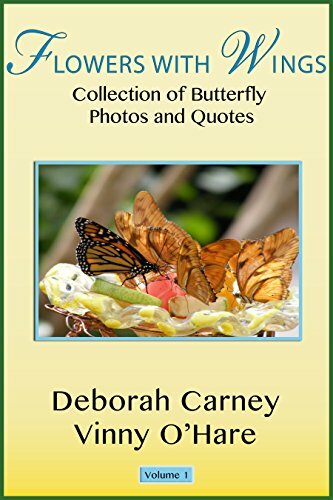 In this series of books features their photographs of butterflies with quotes, proverbs and poetry about butterflies. we are so thankful to have seen it at all. All our butterfly photographs are taken of live butterflies in the wild or in sanctioned butterfly conservatories. Buy Flowers With Wings – Volume 1 for the Kindle or in Print.